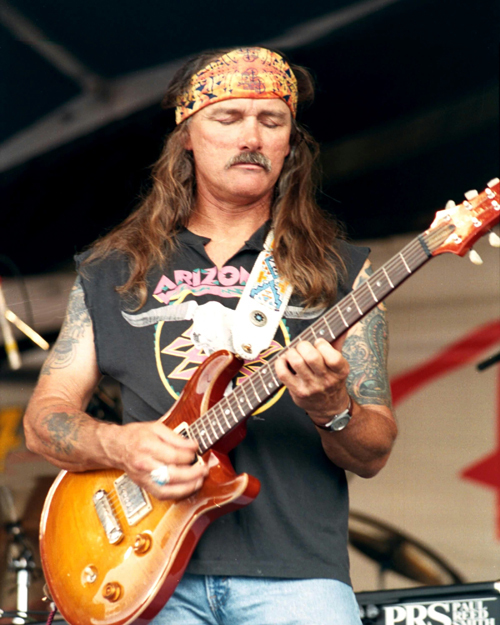 Allman Brothers veteran guitarist Dickey Betts has suffered what's being described as a "mild stroke". A post on his web site relays assurances by doctors that he should make a full recovery in three to five weeks, but Betts and his solo band will have to cancel dates remaining on the current leg of his tour. The shows knocked off are at the New York State Fair in Syracuse on Tuesday (8/28), the Oakdale Theater in Wallingford, Connecticut 8/31, and the Casino Ballroom in Hampton Beach, New Hampshire. We join in wishing rapid recovery wishes to Dickey.